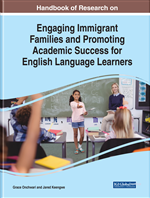 This chapter provides key information about a growing population of English language learners (ELLs) in United States classrooms: unaccompanied minors from the Northern Triangle nations of Central America. Part one provides contextual information about unaccompanied minors, including a description of the immigration process that channels children from detention facilities along the U.S.-Mexico border to communities—and classrooms—across the country. Part two draws on empirical data gathered through an ethnographic case study conducted across the 2015–2016 school year and focuses on one pedagogical practice, dialogue journaling, in a classroom serving unaccompanied minors with limited and interrupted formal schooling. Part three provides a list of resources for exploring the topic further including materials that provide a deeper understanding of the sociopolitical contexts in which children cross borders as well as practice-oriented materials teachers can use to create welcoming classroom spaces in which they provide culturally relevant, linguistically accessible instruction. In my work with pre-service and in-service teachers enrolled in my university courses and professional development workshops over the last few years, I have often been asked, in various forms, how it is that young people from Central America, particularly those from the southern most parts of the region, manage to make it, first, from their home communities to the U.S.’s southern border and, second, from self-surrendering and being detained at the U.S.-Mexico border to classrooms in the Midwestern and Northeastern parts of the U.S. Teachers have also asked me what, exactly, it means for a child to be an unaccompanied minor. These questions illustrate that the categorical terms used to describe students often remain elusive and ambiguous even for those teachers working in bilingual or newcomer classrooms. Through these conversations, I have also learned that teachers often feel they have little idea of what their students’ lives were like prior to enrolling at their school and remain unaware of what students’ lives are like when they exit their classrooms. In the current era of neoliberal school reforms, with the immense emphasis on “data-driven accountability, the use of Common Core-aligned scripted curricula, and punitive classroom management approaches,” teachers are finding themselves overly-tasked and do not feel like there is time in the day for them to have conversations with or get to know their students personally (Nolan, 2015, p. 1). I reference these encounters and questions to contextualize my focus in this chapter on a discussion of the legal backgrounds, immigration experiences, and precarious statuses of unaccompanied minors from NTCA nations and on an instructional practice teachers can begin to implement that would allow them to engage students in meaningful learning while also garner information about students’ backgrounds and identities. In the first part of this chapter, I will provide a definition of the term “unaccompanied minor” and then briefly describe the process—from self-surrender at the national border to resettlement with guardians around the country—through which unaccompanied minors from the NTCA are resettled. This section of the chapter seeks to help teachers and school personnel understand how these students’ experiences and realities and their categorization as unaccompanied minors are often products of larger political and cultural processes that have inherently affected their abilities to remain in their home countries.